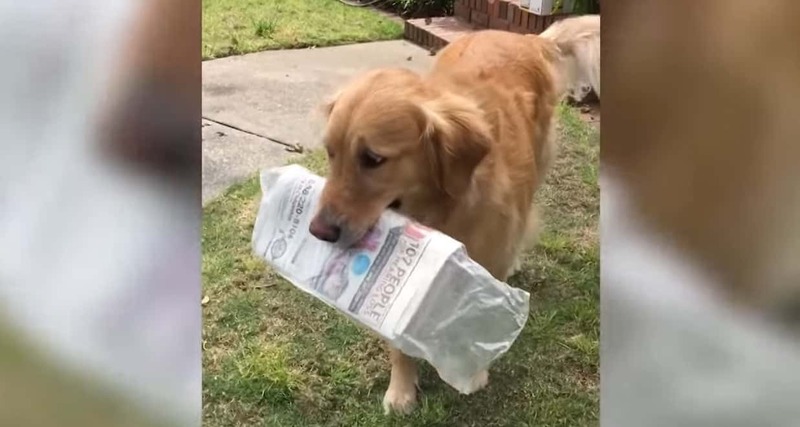 Aren’t dogs supposed to hate mailmen? Well, this one certainly doesn’t. Pippin is a beautiful 6-year-old Golden Retriever who sits by the window waiting for the mailman every single day. FedEx, UPS, it doesn’t matter. Pippin is always there to greet them. 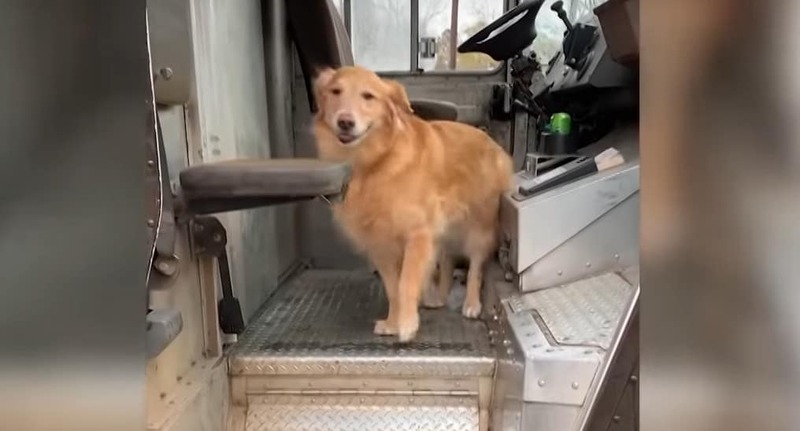 Her tail starts wagging the moment they get out of their van, and her excitement builds from there. She has got to the stage now where she knows many of the mailmen, and they know her. She always gets a belly rub, and some bring her treats. If she’s good, some drivers take her around the block in their mail truck! 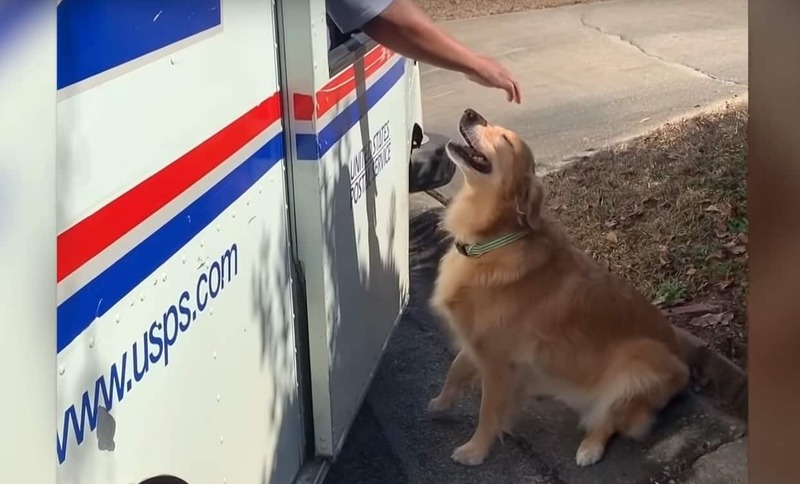 Pippin’s mom noticed the trend and started filming Pippin’s mail-related interactions. They are heartwarming and wonderful. Sometimes UPS drivers leave treats for Pippin even if they have no mail to deliver! The men and women of the postal service love seeing Pippin. She brightens up their days, and they make time for her even when they are super busy. They are always kind, too. “One time, she raced to the back of the truck and stole our UPS man’s sub sandwich and he was so sweet about it,” Pippin’s mom told Caters News. But the best story of all comes from a FedEx guy who was scared of dogs. He would refuse to come to the door when faced with the excitable dog. However, Pippin’s family helped him, and he slowly became accustomed to Pippin. 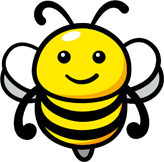 Whether it is a kind of exposure therapy or sensitization training, it has helped. He and Pippin became best friends over the course of a year! You understand the feeling when you’ve been waiting for a package all day and the mailman pulls up. Pippin feels that every day, and isn’t afraid to show her appreciation. How adorable is this story? Let us know what you think in the comments, and share with your friends and family if you enjoyed! Check out other dog stories on Happiest.